The birthplace of many renowned poets and authors like Yakub Kolas and Kumza Chorny, Nesvizh (referred to as a memorial city), celebrates a long and rich history in the arts. Celebrate Belarusian contributions to literature, theater, education, music, and the humanities, and visit the many World Heritage Sites, ranging from Renaissance and Baroque government buildings to castles and churches. Nesvizh is in Nesvizh District. 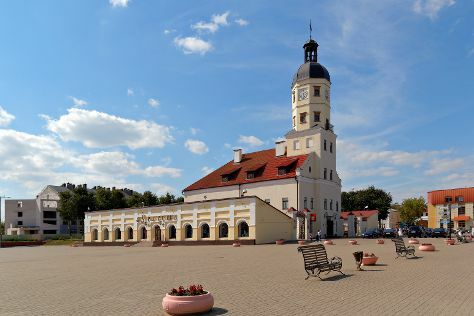 Discover how to plan a Belarus trip in just a few steps with Inspirock's itinerary builder.